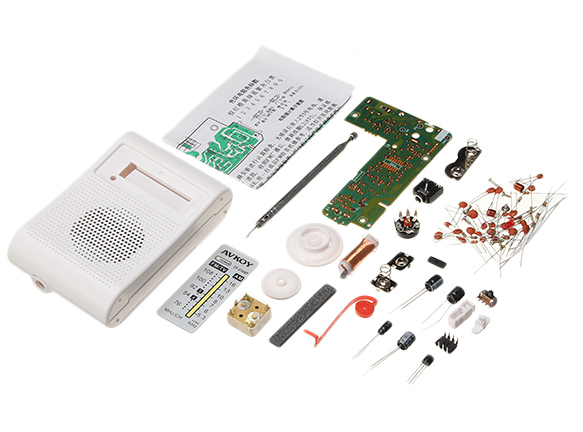 The CF210SP is an AM/FM two band radio kit, perfect for electronics enthusiasts. 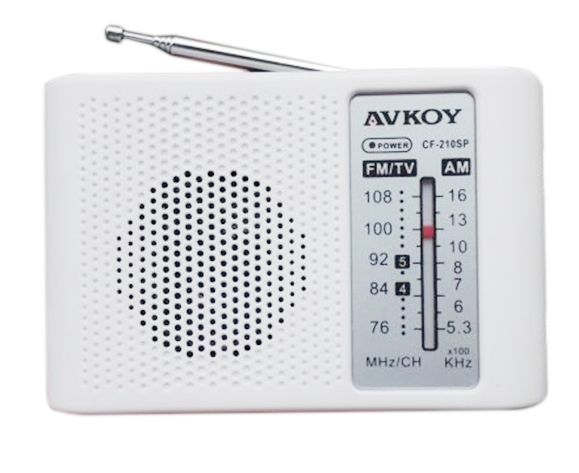 With size just 65x100mm it’s a great pocket radio for hiking or fishing, providing good sound quality for such a small unit. 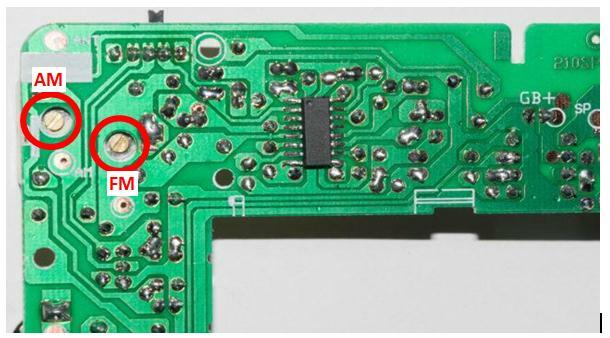 NOTE: Recommended for a hobbyist with moderate soldering skills, and electronic components knowledge. On both sides (very descriptive) and solder mask on the rear side. About two hours of time to complete the kit. Hot melt glue, to stick the speaker, ferrite rod antennas into place. You might find the case is hard to close and doesn’t make up at the seams, especially near the headphone jack. Reaming out the hole slightly using a large Philips head screwdriver seems to do the trick.